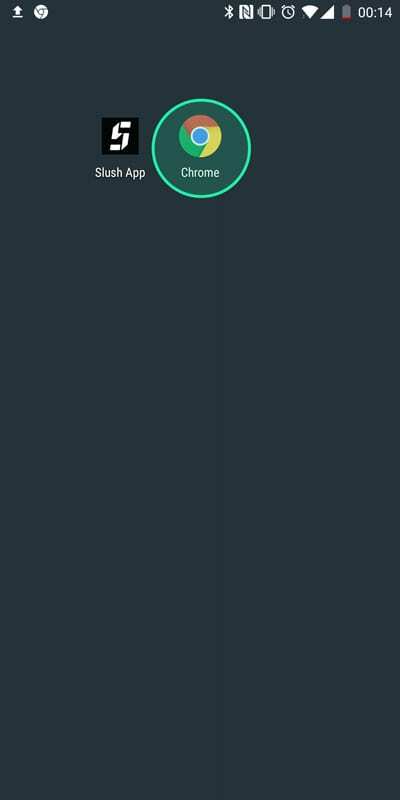 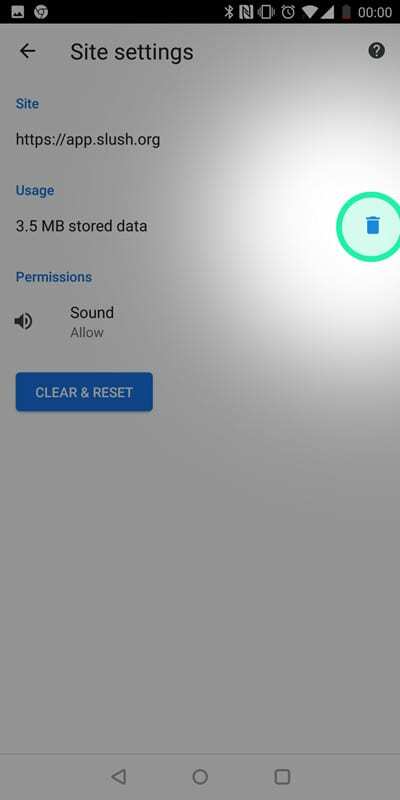 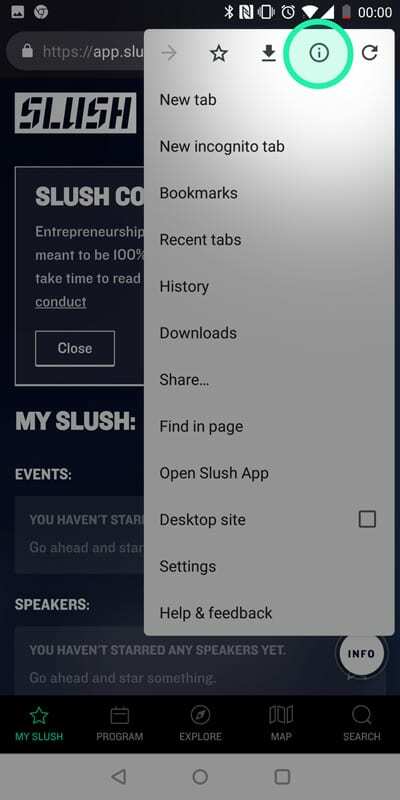 This will clear all data stored for http://app.slush.org/ Don’t worry all your other data is safe. 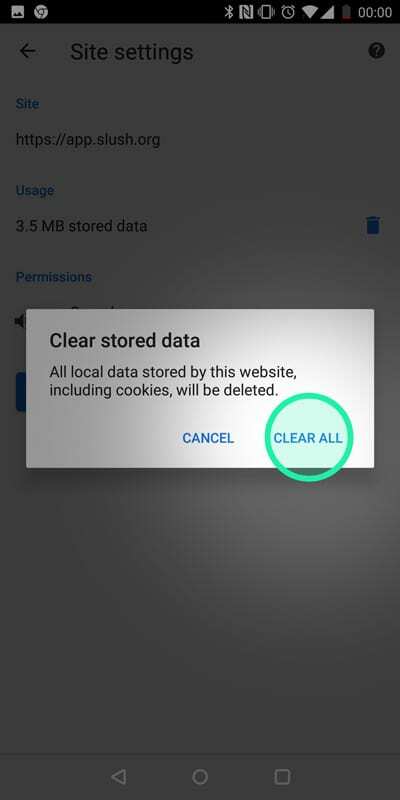 Step 6: Select “Clear All” from the popup. 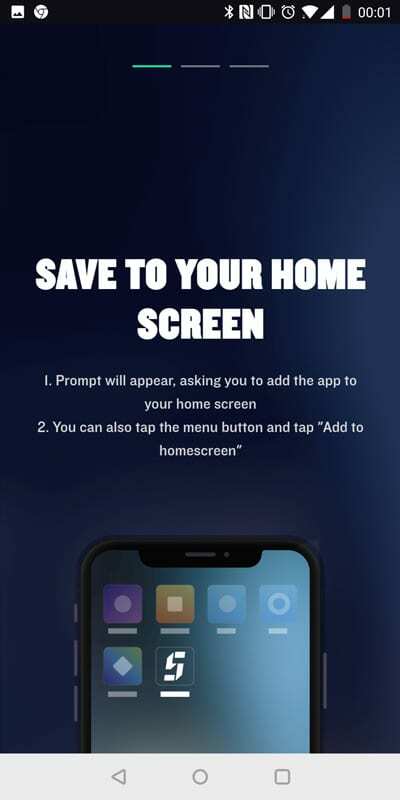 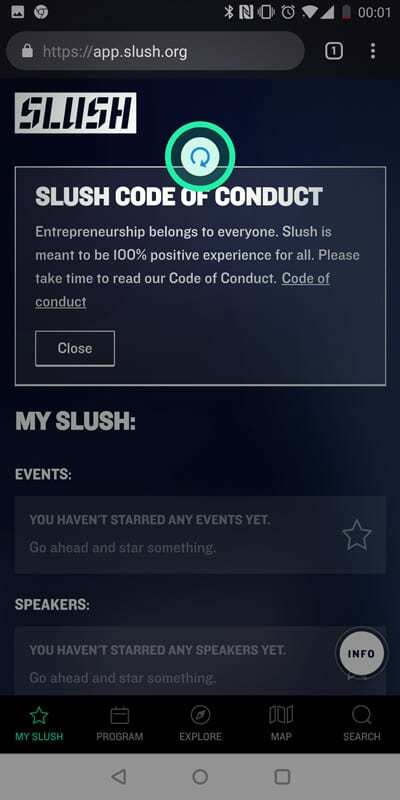 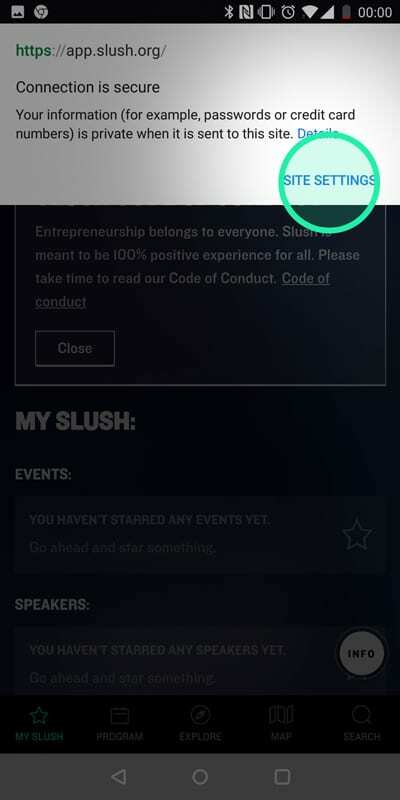 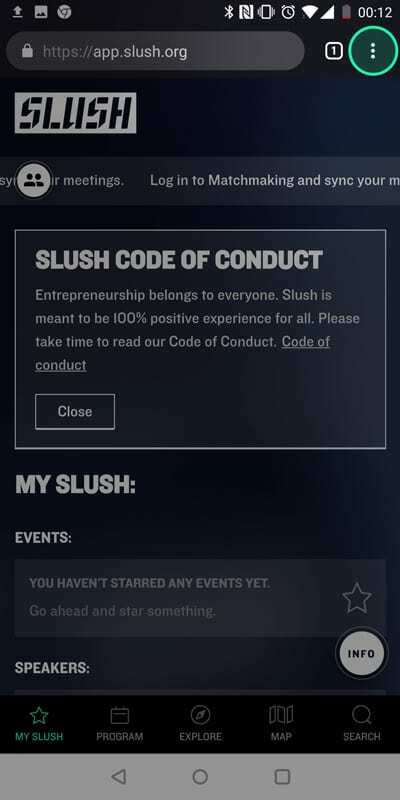 Go to either http://app.slush.org/ or your installed Slush App and refresh.